Monday night's supermoon was set to be especially “super,” as the closest full moon to Earth since 1948. 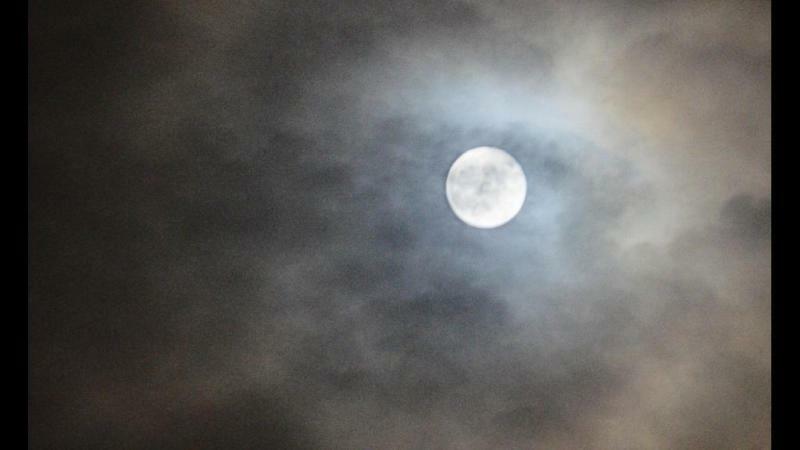 Despite the cloudy forecast, Monday’s supermoon lit up the sky across Canada. If you’ve been living under a rock (or maybe have a big work week), you may have missed that Monday night’s supermoon was set to be especially “super,” as the closest full moon to Earth since 1948. We won’t see another supermoon like this until 2034, according to NASA. How it works, is that the moon’s orbit around Earth is slightly elliptical so sometimes it is closer and sometimes it’s farther away. When the moon is full as it makes its closest pass to Earth it is known as a supermoon. At perigee — the point at which the moon is closest to Earth — the moon can be as much as 14 percent closer to Earth than at apogee, or when the moon is farthest from our planet. The full moon appears that much larger in diameter and because it is larger shines 30 percent more moonlight onto the Earth. Unfortunately, overcast weather got in the way for most trying to take photos of Monday’s supermoon – which also appeared quite large in the sky on Sunday night, too. But don’t worry, star gazers and amateur photographers alike have one more opportunity to see the last supermoon of the year, on Dec. 14.